Gamigon Live! 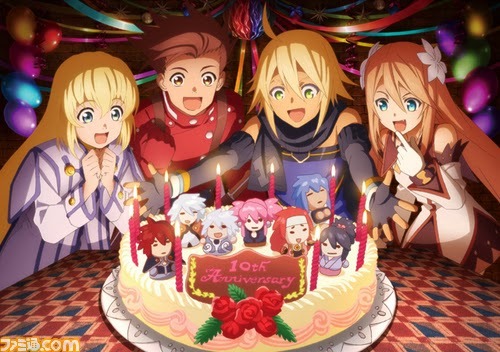 : Tales Of Symphonia Chronicles Released in EU Today. Let's Celebrate! Tales Of Symphonia Chronicles Released in EU Today. Let's Celebrate! Another game that will at some point be featured on Gamigon Live! is Tales of Symphonia Chronicles. It was released in EU today, which means that we all get to play the game, with Japanese voice acting, HD-graphics, and all the Ps2 extra content, that have never left the Japanese shores before. That is awesome! If you have not played this gem of a game, I implore you to do so. It is plainly amazing. When I have played it, you will see a "Top-5" listing all the reasons that this Gamecube classic still got what it takes, so stay tuned on Gamigon Live!